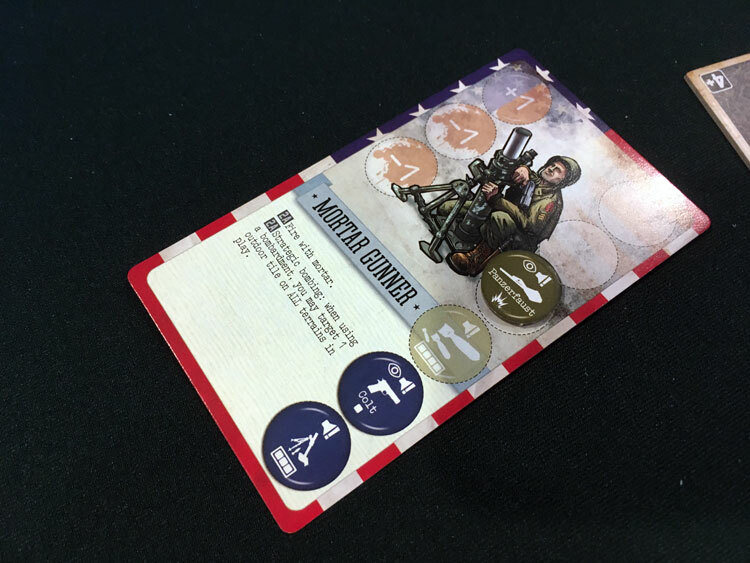 We review the V-Commandos Secret Weapons expansion, published by Triton Noir Games. 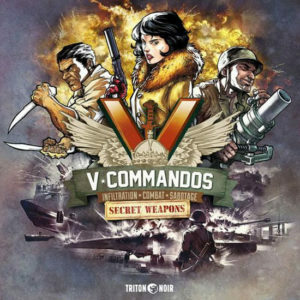 V-Commandos Secret Weapons adds more of everything you love about the V-Commandos core game and is perfect for those looking for a little more variety. It’s probably a good bet that none of the SAS or Navy Seals ever asked for more missions to go on. However, expanding a mission based game like V-Commandos seems like a pretty sound trajectory. 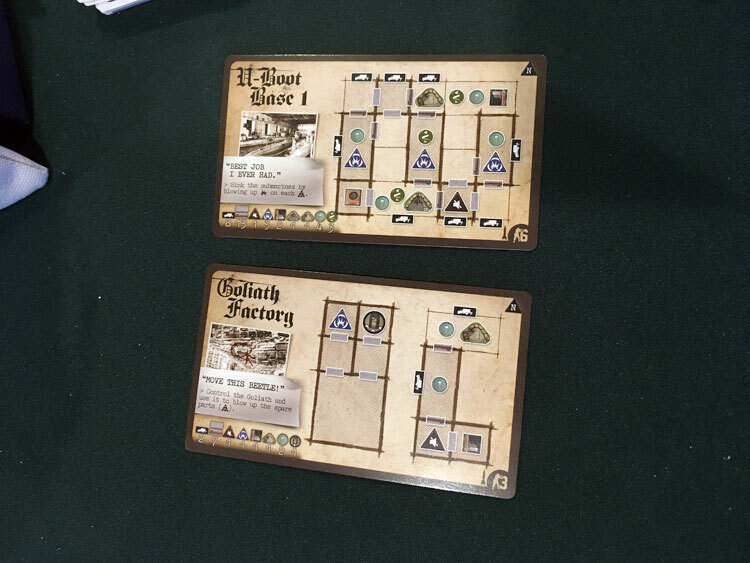 With a game design that features multiple modular components, it’s easy to add new stuff in to the mix. 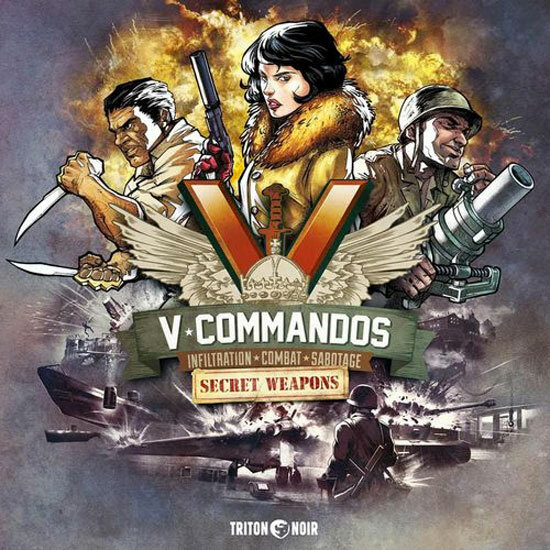 With V-Commandos: Secret Weapons, the core game gets an infusion of content from the waning days of the Third Reich. Secret technological projects and alternate characters make more of a splash here, but eager owners of the base game should read below to see if Secret Weapons has the secret sauce they want. The Mortar Gunner has a mortar weapon which can decimate whole tiles, even across terrain, outdoors only. Finally, the new missions have definitely amped the complexity and danger. There are a couple of new terrain features like gas barrels, and the new missions often have multiple objectives and require quite a bit of risk taking. Also included are a new enemy remote vehicle, the Goliath. This is a sort of large electric mini-tank. 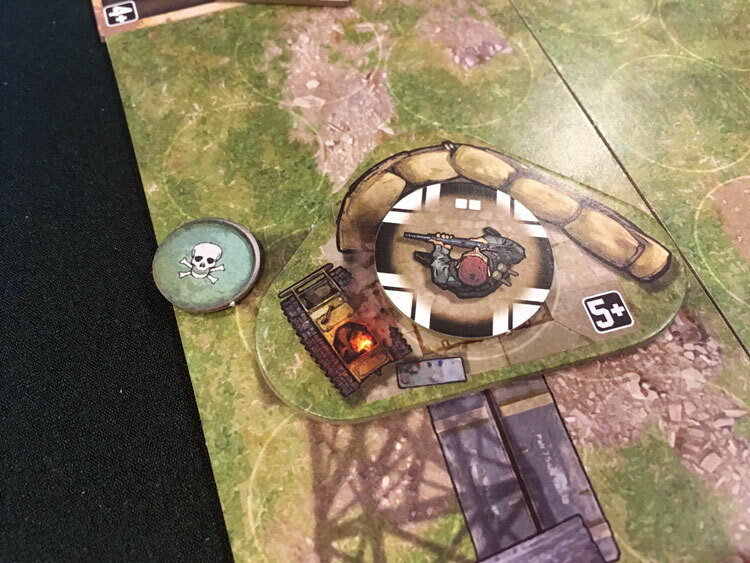 This gunner’s nest includes a gas barrel token and a burnt out Goliath , both new with the expansion. 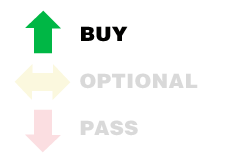 Overall, this expansion is pretty straightforward. The highlight of the box is definitely the new characters. By guaranteeing certain gear from the start, players can attack missions with different strategies. Most of the gameplay feels the same, so ultimately, this expansion won’t make a huge difference if players are already on the fence about game. The other big hit with this expansion are the missions. At times they have a more grandiose complexity, especially when characters are infiltrating secret weapons labs to take out V2 rockets. However, the gameplay still feels like the logic-puzzle, risk management game from the core box. A good read through the expansion rules can offer lots of information for players as to whether or not they want more of what V-Commandos offers. The new missions have some exciting twists and complexity. Players who love arguing (or agonizing for solo players) over which actions should be taken by which characters will delight with V-Commandos: Secret Weapons. There’s plenty more here to argue over. Players can also find some alternative tactics to use in the box. Altogether, it’s a sound, “give me more” expansion experience. Players who are completionists or love the core box will like this expansion even more. It’s not supremely necessary but adds options for more complex play and arguments over actions.